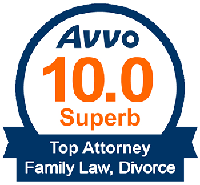 How can I Research a divorce attorney before I Decide to Hire? Santa Ana Divorce Lawyer – Is Divorce Infectious in Orange County? Can I Move Away from California With My Child? Irvine Child Custody Attorney – Types of Custody? Custody of Pets in divorce – Who Gets the Pets in a Divorce? How can I help my child cope with our divorce? How Do I Find a Good Domestic Violence Lawyer in Orange County? What Are the Main Malpractices That Occur in Dentistry?